This new "most complete" edition of the collected poems of Paul Laurence Dunbar, the virtual father of black American poetry, includes sixty poems not included in the previous―and now out of print―Complete Poems. Sixteen of these were found in manuscript form. Paul Laurence Dunbar's work achieved wide recognition in the first part of the twentieth century. The author of six volumes of poetry, as well as novels, librettos, songs, and essays, he was nationally known and accepted by black and white readers alike. 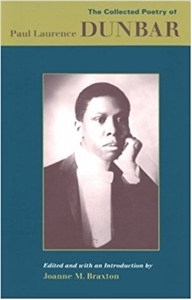 As Joanne M. Braxton points out in her substantive introduction to this edition, a reconsideration of Dunbar's work and influence is long overdue: "We reclaim, in Paul Laurence Dunbar, a significant American author whose career transcends race and locality even while he makes use of racialized and regional cultural materials to create an African-American aesthetic and a unique black poetic diction."